Webzen is one of my favourite game developers these days, not only due to them frequently updating “legacy” games, but also willing to share information by answering each and every interview question seriously. 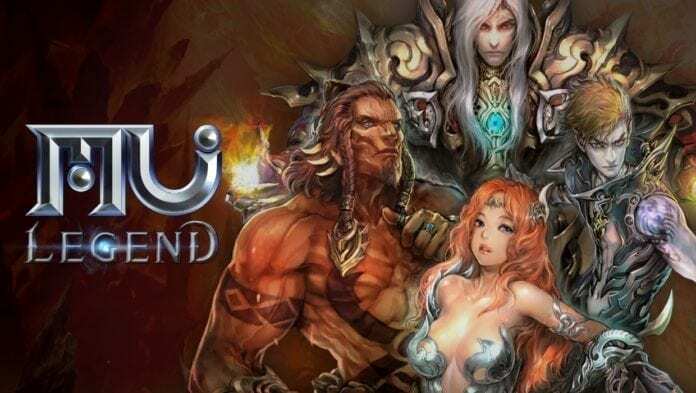 MU Legend was recently announced, with the first Closed Beta starting this month in South Korea. The curious staff at MMO Culture spoke with Webzen about the game, so read on now! 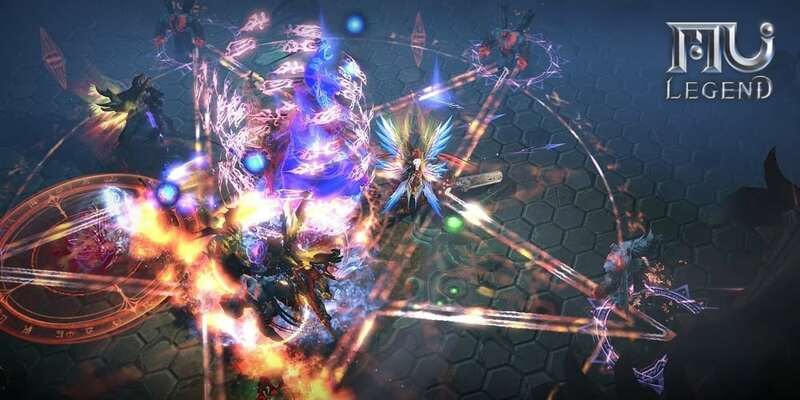 Q: It is my great pleasure to interview WEBZEN on its upcoming MMORPG, MU LEGEND. Please introduce yourself to our readers. A: My name is Manson Jeong, and I am the Game Director of MU LEGEND. As such, I am responsible for the development of the game. Today I am with Sungjin Hong, the Head of MU LEGEND’s studio. I have been working in the games industry for many years and while MU LEGEND presents me with a lot of challenges, I am psyched to finally share this game with our players. Q: When did development for MU LEGEND first started? A: I first joined WEBZEN in 2005, back then there was also a “MU 2” project. It was cancelled once, and at end of 2011, we restarted this project and it became “MU LEGEND”. There were many requests from gamers who wish to relive the enjoyment they experienced while playing MU Online, and we started the development to recreate the feel of MU Online and what the player experienced. Q: What were some of the tougher difficulties faced during the development period? A: We knew there will be a lots of interest and high expectation from everyone even before we start the first test. Due to such high hype, the pressure is unbelievable. Depending on the success of this title, the brand value of “MU” will change. It would be lie if I say that we were not worried about MU Online. But MU LEGEND is the successor of MU Online, hence our aim is not to just recreate the fun of MU Online, but also add more enjoyable elements that only MU LEGEND can offer to players. Q: Why the decision to utilize Unreal Engine 3 and not an in-house engine? A: WEBZEN usually does projects using the engine that has been created by us. But we needed a more stable engine to showcase mass battles in PC systems with lower specs. We try to update the gorgeous effects and the design concepts using the primary color into more recent trend designs, and using Unreal Engine for the development of MU LEGEND was based on those decision. Q: Why the decision to stick to the quarter-view camera angle? Were there other ideas during the early stages of development? A: There has been many ideas at early on. But MU LEGEND was decided to be Hack & Slash MMORPG with the previous quarter view. We thought having a quarter view will allow users to feel the joy of mass battle using simple mouse and keyboard control. But the view is not exactly same with MU online as the view has been set to be suitable to show the mass battle. Q: How many people are there working on MU LEGEND? A: There are more than 60 developers in the team currently. But this is purely internal developers, and there are many people who worked with us as external developers, so the actual number of of people involved in MU LEGEND is much bigger. Q: How will the development of MU LEGEND affect the progress of MU Online? A: MU LEGEND is official prequel of MU Online, but other than genre and title “MU”, they are 2 completely different games. MU Online was launched in 2001, and after over 10 years of service, the players’ patterns and their likes have been settled. We doubt there will be any big impact to users who play MU Online after MU LEGEND officially launches. Perhaps players will be able to enjoy both games? We believe the main players who visit MU LEGEND will be gamers who enjoyed playing MU Online. If we look at the numbers, there are a lot more users who played MU Online some time ago compared to players who are playing MU Online currently. They will play MU LEGEND to relive their memories. Q: According to reports, MU LEGEND’s story took place before the current MU Online (prequel). Why was this decision made, instead of a proper “sequel” storyline? A: We wanted to tell the story about different heroes that only appeared as scenario with in MU Online. So, the world with in MU LEGEND is about 1,000 years before the world of MU Online and try to recreate the scenario that only appeared briefly in MU Online. Through playing MU LEGEND, players will able to find out with why Kundun was revived as the Lord of Darkness. Q: What role do players fit in the new story? What is their purpose and ultimate goal? A: Great Wise man Icarus failed to stop the resurrection of Kundun, and to solve this problem, he sent players to the past. During the time travel process, players will lose their memories. In order to retrieve the lost memories, players have to overcome many obstacles throughout their in-game journey. The final target is to recollect the purpose of the mission and stop Kundun from resurrection. Q: WEBZEN announced 4 main classes for MU LEGEND at the recent game reveal. Is it safe to say that in party play, the “holy trinity” of tank, DPS, and heal is still in effect in the game? A: 4 classes are all set to be suitable for solo playing when playing mass battle in Hack & Slash and users will able to enjoy it. Also for role-playing in party play or in tougher dungeons, they each have unique roles. By using and customizing skills and changing item settings, players can create their own unique characters. Take the Dark Lord as an example, by using a two-hand weapon, damage can be increased to fulfil tghe role of a powerful DPS. They can also equip a magic weapon which has a healing skill, hence they can act as a tanker and passive healer. There are epic dungeons for the high level players, with extreme difficulty. They are recommended for 5-player parties, and each individual role will be very important. So in MU LEGEND, there are no direct rules for each class to be fixed as tanker / dealer / healer, but it is highly depend on how player raise their character (item, professional skill, skill style) that will set their class. 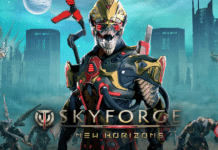 Q: Are there any new classes being prepared for post-launch? A: Of course. After the official launch, we are preparing new class internally for now. But during this CBT (KR), we will only open 4 classes (Dark Lord, Whisperer, Blader, War Mage) as it was shown. 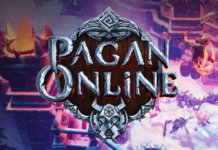 Q: What are some of the new features not found in the original MU Online? A: MU LEGEND is Hack & Slash MMORPG and it provides various contents based on Hack & Slash battle system. For example, there is a random map called the “Rift” that changes monster levels and rewards depending on players’ levels, various mission maps such as Chaos Castle, Blood Castle, Endless Tower and Altar of Elements (10 vs 10 PvP map) or epic dungeons that requires strategic play. There is also special contents like “Knightage” that is same as guild system for MU LEGEND. We are trying to provide players with an abundance of content to enjoy after reaching max level. Even after players have been in our game for long time, we aim to make sure the game can still feel refreshing and the content is enjoyable. Q: What are some of the old features which are retained from the original MU Online? A: We brought the heroes from the MU Online who only appears in the scenario into the game world and allow them to lead the story of MU LEGEND. Of course, you will able to visit the larger world and face monsters from the MU continent. We also continued to improve the content from MU Online, so veteran users will able to feel right at home. 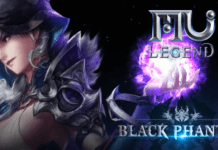 MU LEGEND has the Dark Lord class, mission maps such as Chaos Castle and Blood Castle, Jewel of Bless, wing and mount system, all these familiar systems are also in the new game. Q: MU Online has always been more focused on PVP. Please tell us more on what players can expect from PVP in MU LEGEND. A: Normally in MMORPGs, PvP content gives great reward to just one winner, but the loser will feel extremely dejected. In MU LEGEND, we try to make the PvP less depressing by encouraging more players to join the mass PVP modes. Currently, MU LEGEND has a 1:1 arena as PvP map, survival mission map Chaos Caster, 10 vs 10 arena, and also the Knightage. 1:1 arena is a PvP map where user can just go in and enjoy, while Chaos Castle is a famous survival mission map on MU Online. The new PvP map that will be opened to users in the Korean CBT will be called Altar of Elements, and it will be 10 vs 10 conquering map. Our current key issue with development is how much PvP will be supported for Knightage, which is the MU LEGEND guild system. One thing for sure is that we will not try to force the mass PvP content onto players. Even if there is Knightage vs Knightage, we will distribute the battle in different positions to make sure it is not just a boring group battle. We will keep looking for the most suited number of users for Knightage that will able to provide enjoyment to all participants. That is the objective we are trying to find at the moment. Q: With the heavy PVP features in MU Online, new players might feel intimidated to play the game. Will MU LEGEND somehow be more “newbie” friendly? A: The key mindset while developing MU LEGEND was to create a Hack & Slash game that anyone from the world can enjoy and play. For the players to feel the fun within a MMORPG is to have many players together at the same time. We try to make MU LEGEND easy to start, but as players get better at controls or spend lots of time playing, the game will still be challenging due to the carefully-designed game balance algorithm. The PvP difficulty within MU LEGEND will be edited accordingly after we get user feedback from the first Korean CBT. Q: For players who are more about PVE, like raiding and farming items, what does MU LEGEND have prepared for them? A: The basic of the MMORPG is levelling up the character through PvE, and that is what MU LEGEND is focused on. In PvE, the Rift is the most interesting content for players. Each open field in MU LEGEND will have a Rift portal, and when players enter, the monster levels and rewards will be set according to the character level that entered. Each time players enter, the Rift will use a different map and monsters. The aim of the Rift is to clear out the monsters and face the boss. Depending on how fast players defeat the boss, additional rewards will be given. The Rift also provides players with a special currency called “Magic Stone”. It will boost item farming for players the next time they enter a Rift. Once players reach the max level, we will provide them with continuous item farming and level up content to keep them occupied. Q: What are the current plans for the cash item shop? A: Currently neither the monetization method nor price is set, but we are testing every possible methods and prepare accordingly, so it will not be too late to decide on monetization after players experienced the game first duriing the beta tests. Q: Are there any plans to have a companion mobile application for MU LEGEND? A: Yes, to provide playerswith game information and accessibility, we are developing a MU LEGEND mobile application, but it is in the very early stage of development. Even if players are unable to enter the game, they will still able to receive the benefit of daily contents or events though the mobile application. Q: There are a couple of action online games with quarter-view being prepared, including Lineage Eternal and Lost Ark. Any concerns about MU LEGEND possibly launching around the same time as them? A: We are still waiting for the results and feedback from the first CBT, and depending on them many things can change, so I cannot provide a definitive plan or schedule. 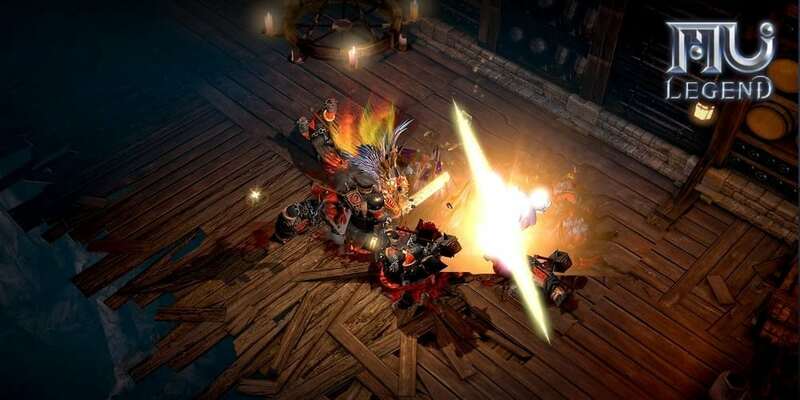 Of course, there are many players who are waiting for quarter-view MMORPGs, and since they are aiming for similar genre, there will be some competition. But “MU” has a very strong brand power in the global market including China, and there will be many former MU Online players who will want to try the game out. Q: Is there a percentage on how much MU LEGEND has been developed right now compared to the ideal official launch version? A: Maybe around 60%. If we are looking for OBT, the overall completion is not complete and there is still room for improvement, such as the user interface. This CBT is a stepping-stone for OBT, so it might require lots of changes. It will also be a great chance to check if the game direction is right and if there are any major problems based on feedback. Online games require a strong service from the operators, hence we will use the feedback to not only improve MU LEGEND, but also to provide players with a better service. Q: The Western version for MU LEGEND was also confirmed. Will WEBZEN be doing global publishing, or will different regions have their own local publisher? A: We are still in the first CBT stage, and even the domestic Korean service plan is not decided yet, so I cannot give you any comments related with future plan or schedule. One thing I can say is, because we are aiming for global service and not just Korea, we will try to make MU LEGEND into a game which will satisfy all players around the world. Q: Before ending the interview, please give a shout-out to all MU fans around the world. A: When we were discussing about the direction of MU LEGEND, the most important question for us was “why do people play games?” The most important point is that gaming is a hobby, and people enjoy this hobby to relief stress. These days, if you look at most of the online games, their players are actually getting more stressed out. Hence, we mke sure MU LEGEND is easy to start, and many people can play the game without stress. We are aiming to make a game where players will think “I want to play this game with my friends, colleague and family to try something different within the game.” I hope many people will able to enjoy MU LEGEND. Please keep a lookout for MU LEGEND in the near future!